[Charlottesville, VA - December 21, 2015] Recently, Dr. Brian Wamhoff, HemoShear Therapeutics' co-founder and head of R&D, Dr. Marshall Summar, Chief of Genetics and Metabolism at Children's National Medical Center in Washington, D.C., and Dr. Moeen Al-Sayad, Chair of Genetics at King Faisal Hospital in Saudi Arabia, gave the opening talk at the Middle East Metabolic Group conference held in Muscat, Oman, with a presentation entitled "Treatment and New Research Frontiers for Hyperammonemia". HemoShear and Children's National are collaborating to create a biologically responsive model of propionic acidemia, one of 17 organic acidemias, a group of children's rare diseases for which no or very poor drug treatments exist. HemoShear Therapeutics is working to discover drugs to extend the lives of these children and potentially cure the disease. The incidence of organic acidemias and other rare liver diseases is substantially higher and a major health concern in the Middle East. Their presentation resulted in collaboration discussions with several countries that may provide access to de-identified patient data to support HemoShear's drug discovery programs. The Middle East may also play an important role in future clinical trials because of the higher numbers of patients in those countries. Their presentation, earning recognition as "Best Talk" at the conference, included cutting edge data on recreating propionic acidemia from Stacey, an eight-year-old patient who received a liver transplant in order to extend her life. Ordinarily, Stacey's diseased liver would have been discarded. But, thanks to the support of her parents and the help of Childrens' National and Georgetown University Hospital, Stacey's liver was flown to a collaborator to isolate her cells and then delivered to us. Our staff worked around the clock to culture Stacey's diseased cells and expose them to conditions similar to physiological blood flow in the HemoShear technology to restore the biology of her disease. Over the next several weeks, our scientists conducted a series of studies to interrogate her disease biology and explore potential drug treatment strategies. We demonstrated elevation of the toxins that Stacey would have experienced in her body and expression of potentially important drug targets. We later shared our data with several disease experts at Baylor University, Stanford University and University of Pittsburgh - all major transplant centers - who agreed that they had never before seen this disease restored in the laboratory and confirmed the biological responsiveness of our disease tissue model. Unfortunately, the reality of Stacey's disease is that even with a liver transplant, she will not live much past her 20s. Thanks to Stacey and the work of our scientists and collaborators, we are closer than ever to validating multiple drug targets and expect to begin screening chemistries in the first quarter of 2016. We intend to pursue other organic acidemias and rare liver diseases in the future. 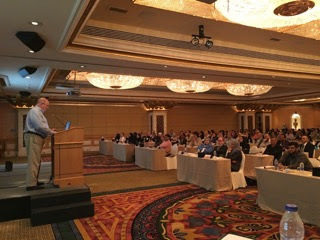 On an international relations note, Dr. Wamhoff remarked that the conference included more than 200 physicians from many countries, including those in armed conflict. Dr. Wamhoff was emotionally moved by watching them interact as collaborative colleagues sharing a common goal to save the lives of children with devastating rare diseases. Drs. Wamhoff and Summar were the only two representatives from the Untied States and were asked to judge over 80 scientific poster presentations from clinicians throughout the Middle East, including, Algeria, Bahrain, Egypt, Iran, Iraq, Jordan, Kingdom of Saudi Arabia, Kuwait, Lebanon, Libya, Morocco, Qatar, Sultanate Oman, Syria, Tunisia, Turkey and the United Arab Emirates. Drs. 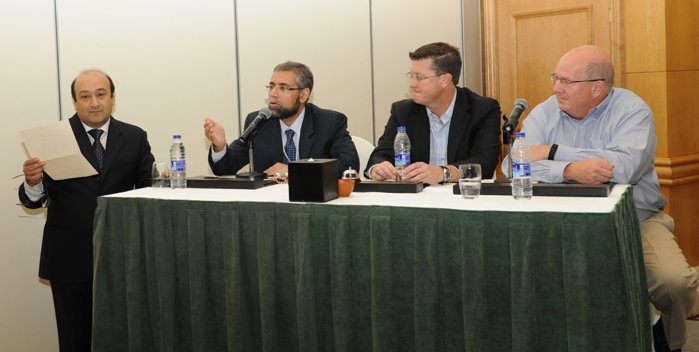 Moeen Al-Sayad (left), Brian Wamhoff (middle) and Marshall Summar (right) addressing questions at the end of their session. Drs. 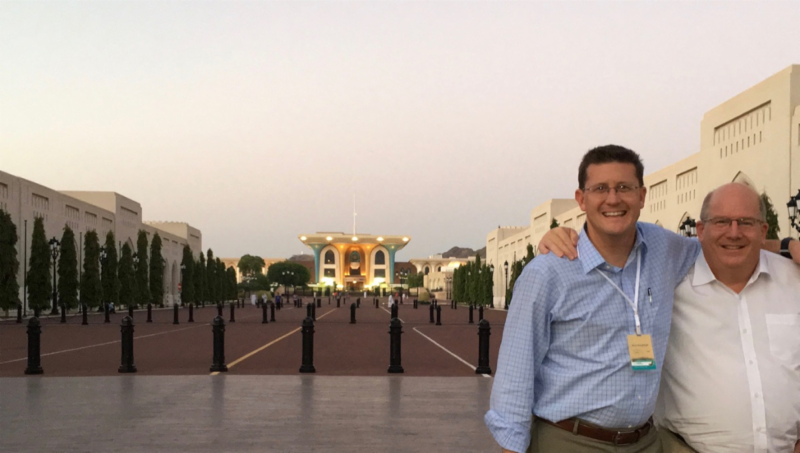 Wamhoff and Summar in front of the Sultanate's vacation palace in historic Muscat, Oman. Dr. Summar speaks about treatments for hyperammonemia.